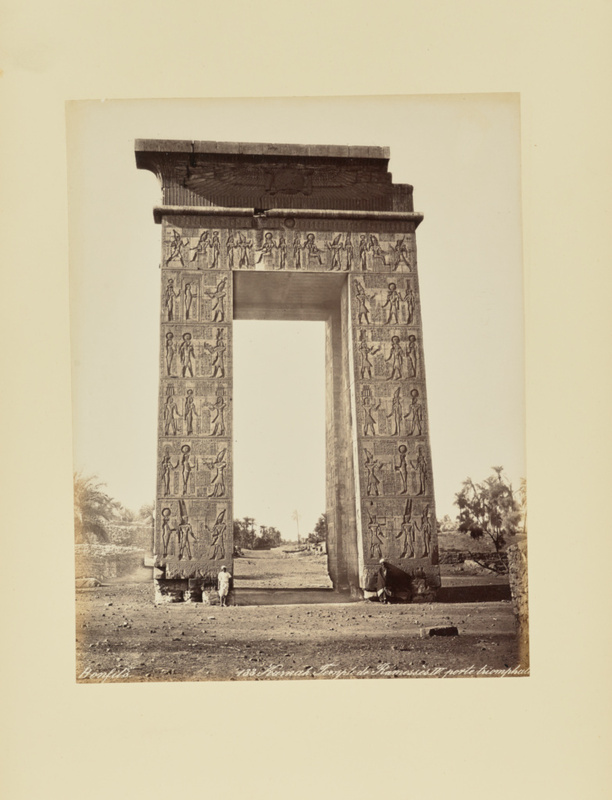 View of a monumental gate carved with hieroglyphs. The top right corner of the gate appears to be missing. Two native men stand by the gate's opening.